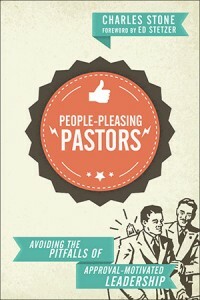 As soon as I saw the title of this book—People-Pleasing Pastors—I knew that I would want to read it and summarize it if it was good. In my experience, one of the biggest and most common challenges for pastors, and leaders in general, is the challenge of people pleasing. If you are in any kind of leadership, you are bombarded with other people’s desires, expectations, hopes, and dreams. Some people just mention them; others push hard for them—either way, you have to deal with those desires. And pastors especially don’t want to hurt people, which adds to the pressure they can feel. I think it takes tremendous character not to give in to that pressure, which underscores the importance of soul care for leaders. Developing internal strength takes time and intentionality, but neglecting that increases our vulnerability to other people’s desires. We can’t afford not to take care of our own souls! I thought Stone said it well: “people-pleasing points to a legitimate human desire. I want people in my church to like me. I want my board and my staff to like me. But I can’t let my identity rest on whether they do or don’t.” Ultimately this is an identity issue. When we are secure and confident in who we are in Christ and in what he has called us to do, we are much less vulnerable to the pressures we receive. Again, that takes us back to the importance of soul care. Too often we neglect caring for and developing our inner life because it doesn’t seem productive; it doesn’t seem like we are really getting things done or moving the ball forward. But we often pay for it later. When the heat is on, when the pressure comes, if we can’t stand against it we can pay a huge price and often lose much of the progress we have gained by our efforts. What do you think? How do you deal with the pressures to please others? In our next video, I talk about the power and danger of collecting “grey stamps,” a practice that can undermine a team, organization, or church, and what to do about it. If you’re in leadership, you need to understand the importance of dealing with grey stamps! While the focus on this book is on shopping and marketing, the world it describes and the changes it talks about affect churches every day. We live in a new world, and the changes I’ve seen during my lifetime alone have been huge. But in thinking about change, we sometimes miss a key point: It isn’t just that technology has changed but that using technology has changed us. There were several things I made note of that apply to the church, or can be applied by the church. Yarrow says, “It’s a paradox of our age that, although we have more “friends” than ever, we increasingly feel unheard, unseen, disconnected, or alone.” To me, this implies that the church that can build a real community and incorporate people quickly into it has a tremendous opportunity. People are longing for what that church offers. Yarrow also points out that “Today’s consumers want to feel more in control; they want to feel seen and valued for more than their money; they’re looking for brands and retailers that facilitate a sense of connection with others; and they want shopping to be easier and more enjoyable.” Each of those things has significant implications for church life. The desire and expectation for more control implies that people will want to join the leadership more quickly than in previous years. This will be a challenge because releasing people too quickly can be disastrous; however, if you make them wait too long, you also risk losing them. Effective leadership is a skill that leaders need to learn. The desire for shopping to be easier and more enjoyable also carries over into what people expect of churches. While I don’t think we should pander to people’s desires, we can’t ignore their expectations, either. Many of us will need to simplify what we do—maybe even by doing less—and focus on doing it well. So what are your takeaways? 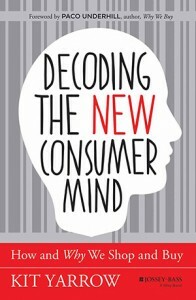 How do you think the new consumer mind will affect what you do? As a way to add value to what we are doing and support you in your growth and development as a leader, we are launching LeadersTips. These short videos will each contain one key idea, understanding, or skill that will help you become a better leader. Some of these will focus on becoming the leader you are called to be; others will focus on skills that will increase your effectiveness. All of them will be simple and clear, and will serve you in your growth. To subscribe to these videos via email, download a sample summary today. 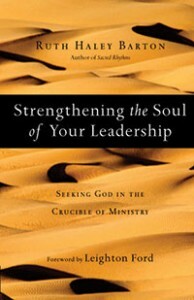 Strengthening the Soul of Your Leadership presents a very different side of leadership from learning new techniques or developing our skills. But it gets at something much deeper. Although I believe it applies to every leader and to any situation, the application for church leaders is especially critical. Unfortunately, there are probably few things more common in church leadership than pastors with dry souls. The nature of the ministry is such that the work is never finished and the demands are unceasing. It’s difficult, to say the least, to take time consistently for your own personal spiritual growth. Yet, as Barton points out, it is essential for spiritual leaders to care for their own soul. Otherwise, our leadership impact is limited, and our ability to stay in the game is compromised. Two things really stuck out to me as I was reading. The first was the importance of living within our limits. All of us have all kinds of limits, but somehow we often avoid facing them. We misapply statements such as “I can do all things through Christ” and violate our physical, emotional, and spiritual limits, often resulting in burnout, depression, or some other trauma. Although we can coat it in spiritual-sounding language, I suspect an unhealthy driven-ness often lies beneath it. We feel the need to prove ourselves or to compete with the guy down the road. One of the best things we can do is examine our lives to determine if we have any margins in our lives or if we are pushing ourselves to the limit. If we are constantly stressed, become short with people, or begin to feel resentful toward those around us, it is a tip-off that we may be violating some limits. As I have progressed in my ministry, now pushing thirty years, I’ve come to believe that limits are actually a gift from God—often a gift no one seems to want, but a gift nonetheless. Without that gift, many of us would never stop. We would burn the candle continuously at both ends. Limits force us to slow down, to stop, and to rest, which is a good thing. The second thing that struck me was the emphasis on intercession. The question, “Who would we be if the practice of intercessory prayer shaped our leadership?” is a powerful one. I suspect that, if we took it seriously, it would significantly change how we lead. I suspect that we would have a better ability to live within our limits, because we are consciously depending on God rather than on our own abilities. I also suspect that we would see more of God’s power active in our ministries. Finally, I suspect that we would reproduce leaders who were men and women of prayer—spiritual leaders, which is what the church longs for. So how are you doing with accepting your limits? Or was it something else that struck you? Either way—what are you going to do with it? Share your next steps. 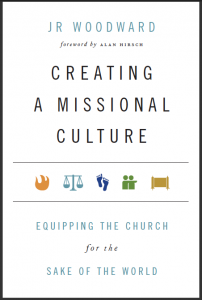 Creating a Missional Culture expresses the leadership philosophy of the Ecclesia Network, “a relational network of churches, leaders, and movements that seek to equip, partner, and multiply missional churches and movements.” I found I was left with mixed reactions to the book, to be honest. There were some things I really liked and some that I questioned. I really liked and agreed with the overall emphasis on culture. 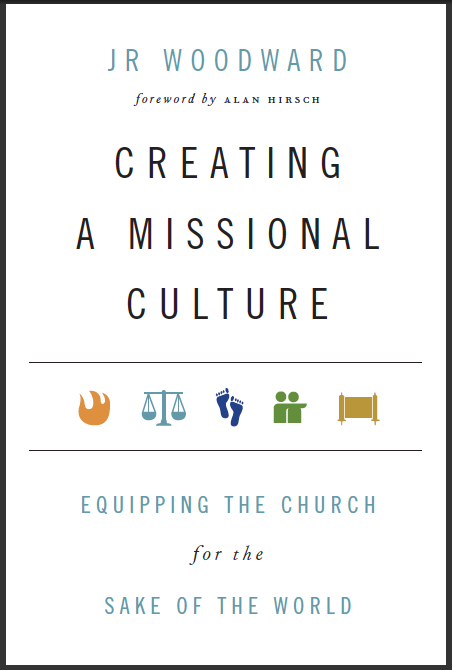 I have long believed that “culture trumps strategy,” and that we spend way too little time focusing on the culture of our churches or organizations, as opposed to our strategies. Likewise, the recognition that the way we approach leadership significantly shapes our culture is key. Spiritual life in the church flows like a river, from the top down. The culture that is exemplified and lived by the leadership will eventually shape the culture of the whole church, for better or worse. At the same time, I struggled with the emphasis that Woodward puts on polycentric leadership as the way to go. I have seen group leadership attempted a couple times, and while there are some positives—it does share the load—there are also some negatives. The biggest one I have seen is that there is usually a real leader who isn’t being recognized, which ultimately limits the effectiveness of the whole team. I did find the idea intriguing and worthy of more thought that our culture is influencing how people look at leadership. It seems true to me that the younger generations are more skeptical of top-down leadership and possibly of other approaches to leadership with which the church operates. It’s worth thinking about. I’m interested in your thoughts! Let me know what you think. As I read through Osborne’s 10 Dumb Things, I was a bit surprised- I could think of people who believe every one of the urban legends or wrong teachings that he identifies. It was striking to me how common they are, not just in the world but in the church. And it was a bit scary how easily those ideas take root, even in Bible-believing people and churches. There were three of the ten in particular that resonated with me. These three I have developed a passion about because I have seen, over and over, how destructive they can be. They have created as much confusion, discouragement, and struggle as anything I have seen. The first says “Everything happens for a reason.” I know we say that to ourselves and to others to bring comfort and to try to deal with the seeming randomness of life, especially when bad things happen to good people. Sometimes the reason is that we live in a fallen world with imperfect people and an enemy that hates us. To go beyond that often causes people to have to do some kind of mental gymnastics and even justify evil to protect God—if there is a reason for it, it has to be from him. Tell the parent whose child has cancer it is happening for a reason. Although we don’t like it, there is far more randomness to life than most realize, and to try to find a reason for it all can cause even greater problems. The second one is somewhat connected to that, and that is the idea that God has a blueprint for my life. I think God’s will has much more to do with what kind of people we are than the circumstances we are in. I have seen people paralyzed and unable to make decisions because they were so afraid of missing God’s will. That’s crazy. God gives us more freedom to make choices than we realize, often more than we are comfortable with. But the blueprint idea creates a fear of failure that is really unhealthy. Seek God, and when he gives direction, follow it. When he doesn’t, use wisdom and make a decision. The third dumb thing was the idea that a godly home always produces godly kids. I know parents who seemed to do everything right and whose kids still turned away from God. The reality is that children and young adults all have free will and will make their own choices, and the quality of our parenting is only one variable that influences our kids. It’s an incredibly important one- I don’t want to minimize that in any way- but it isn’t the only one. And when we look at the proverbs as promises, we potentially set ourselves up for unnecessary guilt and pain. And it burns me when I see people judging parents for how their kids turned out, as if they didn’t do a good job, didn’t pray, didn’t agonize over what they could do. Almost all parents do their best, but children ultimately make their own choices. Let’s stop judging when we have no idea what’s really going on. So those are the dumb ideas, the spiritual urban legends that especially resonated with me. What are yours? What stood out to you? Are there other dumb things you think should have made the list? I enjoyed The Grasshopper Myth. I thought it brought a good balance to some of the discussions I have heard or been part of regarding church growth, church health, and related topics. I particularly enjoyed chapter 12, where Vaters outlines the emotional stages many pastors go through as they wrestle with the realities of ministry. I’ve gone through those, and I have many friends who also have experienced them. 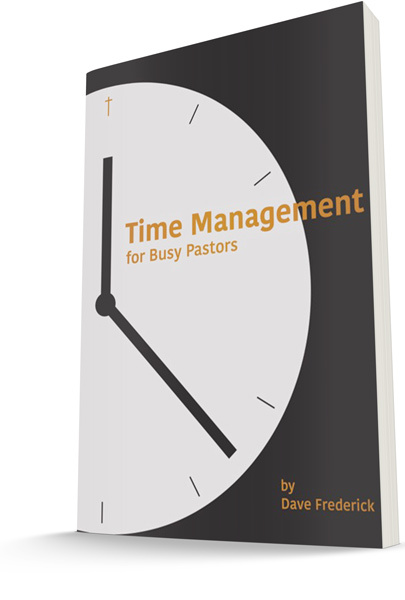 Recognizing those patterns can help pastors navigate them in a healthy way rather than being overcome by them. I also think Vaters’ emphasis on finding out what you are supposed to be doing, and then his encouragement to do it, is good advice for a leader of any sized church or organization. When this sense of purpose is clear, the temptation to look at others or compare yourself to others isn’t as strong. It’s much easier to bless others when you have clarity. You no longer see them as competition or as reminders of your own lack of ability or impact. Thus, you can celebrate their successes while giving yourself fully to what you have been called to do. I call that a win! At times I found myself resisting Vaters’ ideas, perhaps because I am growth-oriented. What helped me embrace what he said was his honest recognition that some churches are small or lack growth for reasons unrelated to the pastors’ abilities as well as his acknowledgment that, sometimes, pastors can be lazy, incompetent, or simply fail to do a good job. Those are realities. I’ve had to face them in myself. I would never want to presume to know which is the case for any other person, but recognizing that both are true was important to me. It also underlined the importance of being honest with ourselves. Finally, I thought Vaters’ point about the abundance of small churches was well made, especially when he pointed out that it just isn’t reasonable to think that all of those pastors of small churches are failing. I know many pastors who appear to live under some guilt or condemnation because they have received the message that they are somehow lesser because they don’t have a larger church. This is ridiculous! 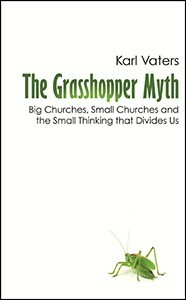 We need to develop a healthier perspective on pastoral success, and I think The Grasshopper Myth contributes to that. So what did you think? Do you struggle with the “grasshopper myth?” Do you find yourself struggling with comparisons? Please share your insights and perspective with us!